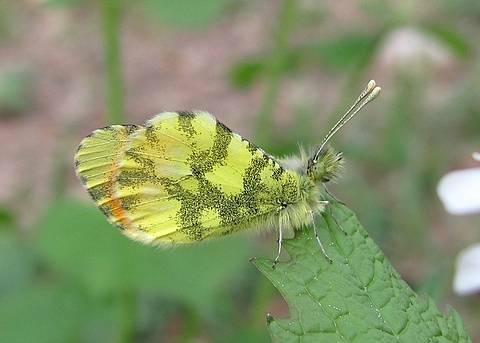 This is a 'southern' Orange Tip in which the male is a splendid yellow colour with a wide, vivid orange forewing apex and the white female has some orange to her forewing tips too, unlike the female of A.cardamines. 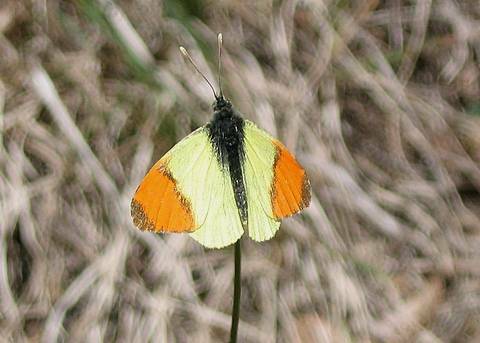 I have encountered the species in Provence on a few occasions where it was locally common but always difficult to photograph, incessantly on the move. 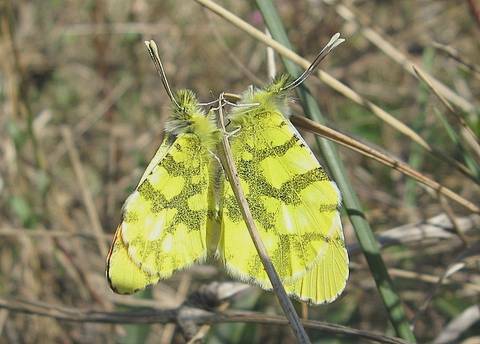 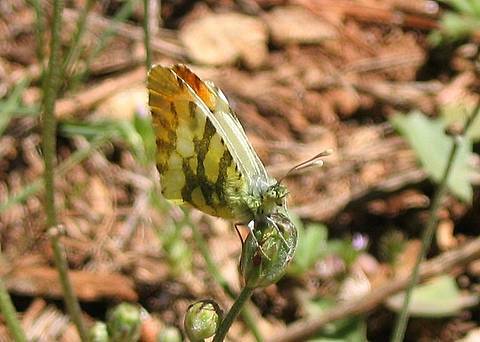 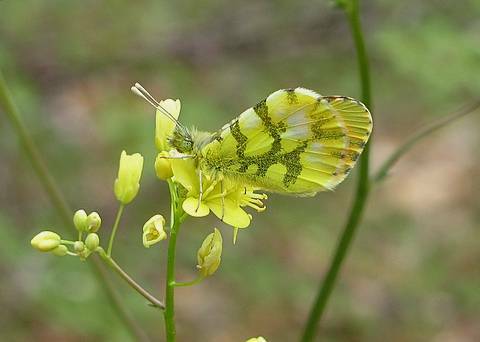 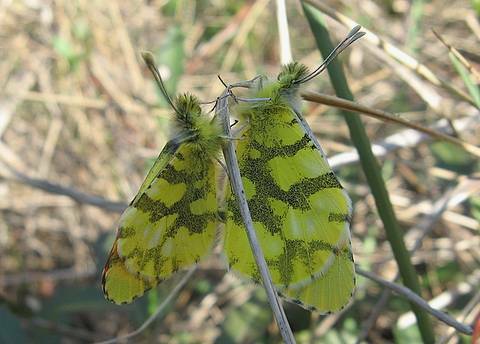 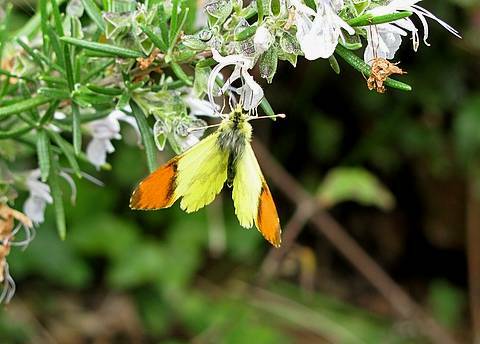 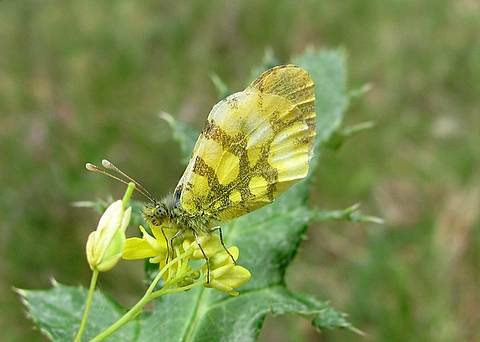 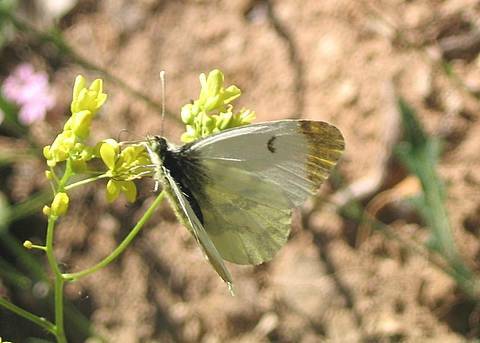 Some authors still regard this butterfly as a subspecies of the Moroccan Orange Tip (Anthocharis belia).